In our stressful and hectic 21st-century lives, it can be hard to find “me” time. Even if we do take time off from work, our vacation choices are often characterized by packed schedules that pay more attention to ticking off the must-see sights than they do to our own mental health and spiritual well-being. Perhaps that’s why you should consider these five pilgrimages. Whether you're a member of a certain religion or not, these journeys can help you reconnect with your spiritual side and show off some spectacular landscapes. As pilgrimages go, this is the classic. 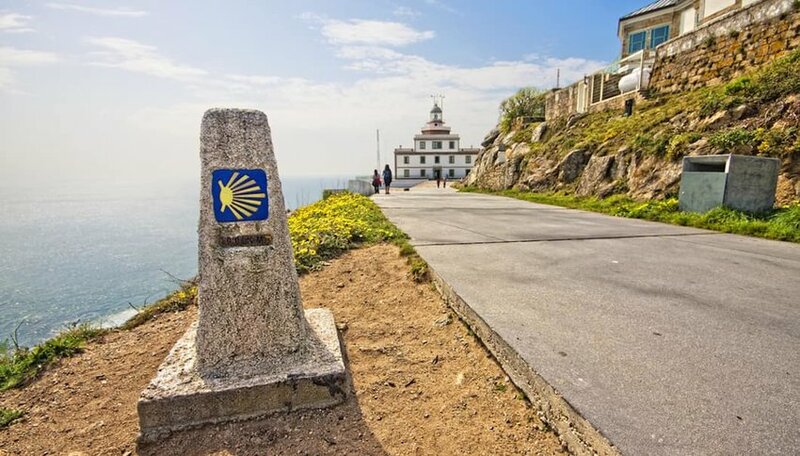 Beginning in Saint-Jean-Pied-de-Port in France, the Camino de Santiago (also known as the Way of St. James or simply "Camino") runs along the northern Spanish coast to Santiago de Compostela, a route that stretches almost 500 miles. That’s over a month’s walk at an average person’s pace, but many dip in and out of the trail to walk certain parts. The original route, starting from the city of Oviedo, is a more manageable distance. Though the pilgrimage was popular in mediaeval times, its modern day resurgence was encouraged by the support of General Francisco Franco. In 2017, an estimated 300,000 pilgrims and other hikers made the journey in search of religious enlightenment or a spiritual pick-me-up. Purchasing a document called a credencial, a kind of pilgrim’s passport, entitles the bearer to overnight accommodation along the way and a certificate of completion when they reach Santiago de Compostela. 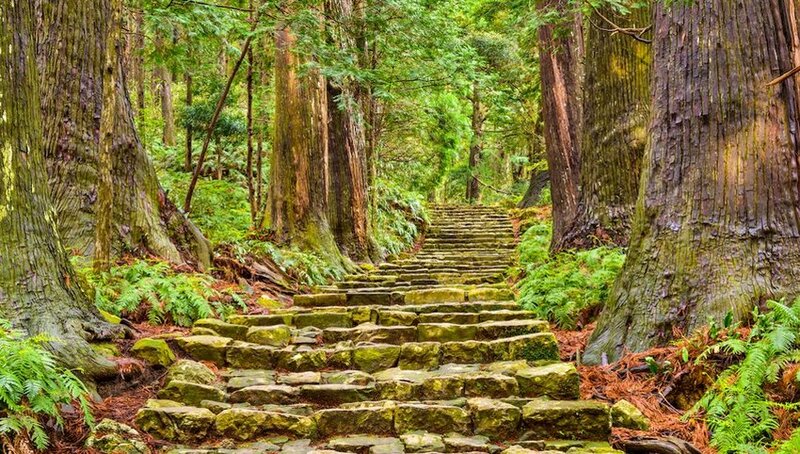 The only other pilgrimage route to be officially recognized by UNESCO, the Kumano Kodo is Japan’s answer to the Camino de Santiago. This network of routes across the mountainous Kii Peninsula leads to Kumano. Hikers follow in the footsteps of emperors and samurai, along paths that are flanked by trees and waterfalls. Traditionally, the Japanese believed that such natural landscapes were gods and as such, they built Buddhist temples and Shinto shrines along the way. The UNESCO-listed section begins at Takijiri-oji. For most, it’s a two-day walk to the Kumano Hongū Taisha, the trail’s grand shrine, with an overnight stop at the Chikatsuyu-oji. Whichever route you take, it’s a stunning journey, particularly in cherry blossom season or when the fall colors kick in. All roads lead to Rome, they say, and the Via Francigena is proof of that. It was the historic route from northern Europe to The Eternal City, on which a stream of pilgrims made their way from Canterbury through France and Switzerland to what’s now Italy. 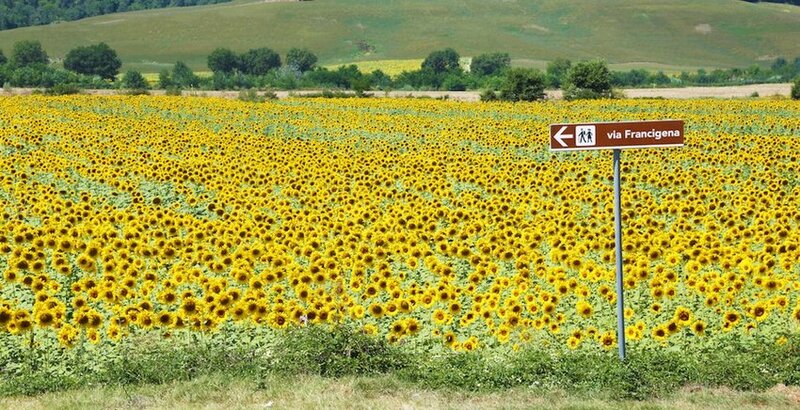 Arguably some of the prettiest sections form a route through Tuscany. Fifteen sections of track dip in and out of some of the region’s most popular tourist sites: Lucca, San Gimignano and Siena for starters. Others are temptingly short, a day’s excursion that winds through woodland or affords breathtaking views of vineyards, fields of sunflowers or olive groves that stretch as far as the horizon. Yes, all roads lead to Rome, but you can be forgiven for wanting to find inner peace before you arrive in the chaotic Italian capital. Adam’s Peak (known as Sri Pada in the local language) is a mountain in Sri Lanka known for a sacred rock formation at its summit, thought by many locals to be the footprint of the Buddha and thus a popular place of pilgrimage. It’s chronicled from the 4th century; some of history’s most famous travelers, like Marco Polo and Ibn Battuta, paid their own visits many years later. Today, it’s considered a holy place not only by Buddhists but also by Hindus who claim the footprint to be Lord Shiva’s, Muslims and Christians who hold that it’s where Adam took his first step after being thrown out of the Garden of Eden. High season runs from January to April, when you’ll have the best chance of seeing the shadow of the mountain appearing in triangular form on the horizon. Pilgrims set off in darkness and aim to reach the summit by sunrise. To do so, they’ll climb over 5,000 steps, though there are plenty of tea shacks lining the route when refreshments are called for. 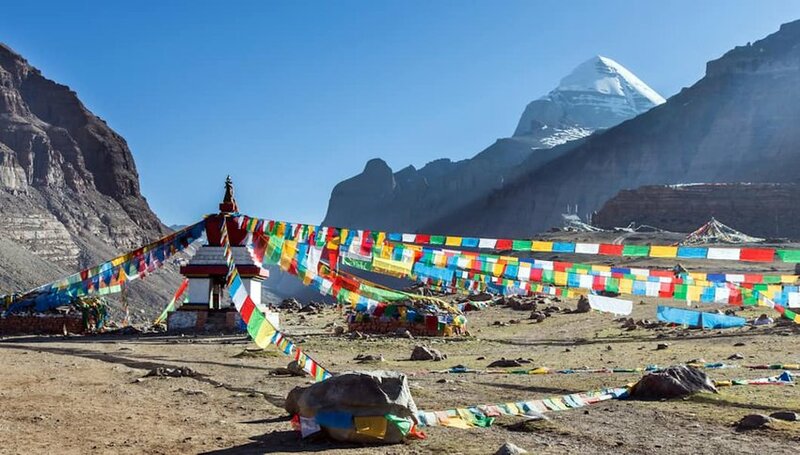 A sacred mountain located in western Tibet, Mt Kailash has religious significance for four faiths. Hindus regard it as a lingam of Shiva, a symbol of divine energy. Buddhists also hold it in high regard; their texts refer to it as the center of the world, as do those of Jains and followers of Bonism, Tibet’s native religion. As pilgrimage treks go, it’s probably the most challenging, but the rewards are great: snowcapped peaks rising above verdant valleys pockmarked by blue lakes. 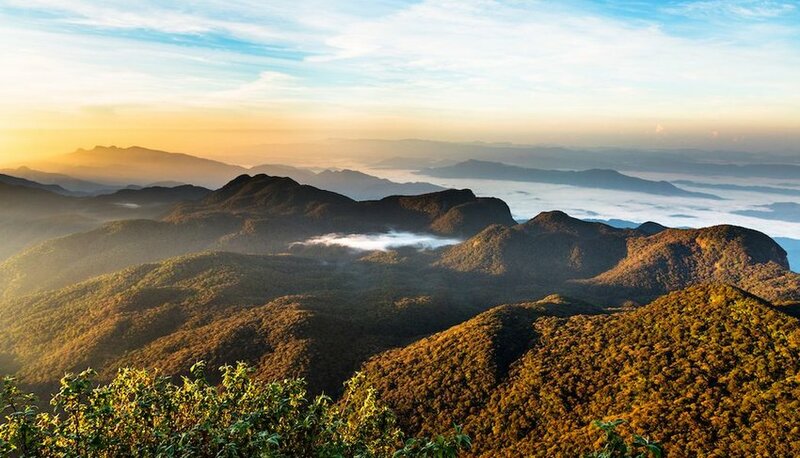 Circuiting the mountain is thought to absolve a person’s sins and a sighting of the summit free of cloud is thought to bring good luck. While locals can achieve one ritual circuit, known as a Kora, in a single day, tourists typically need three. To secure a path to enlightenment you’ll need to allow for 108 circuits – not an undertaking for the faint of heart!